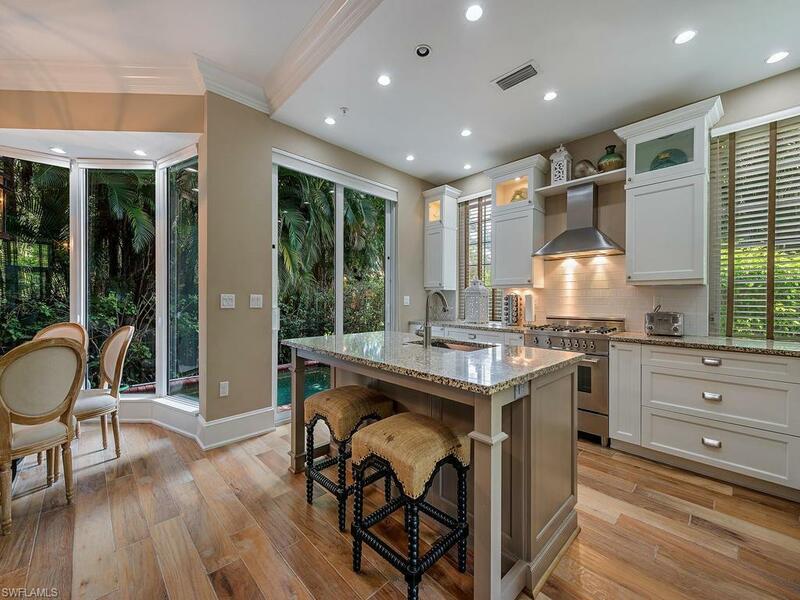 V.2498-A villa in Old Naples that lives like a single family home with no HOA fees. 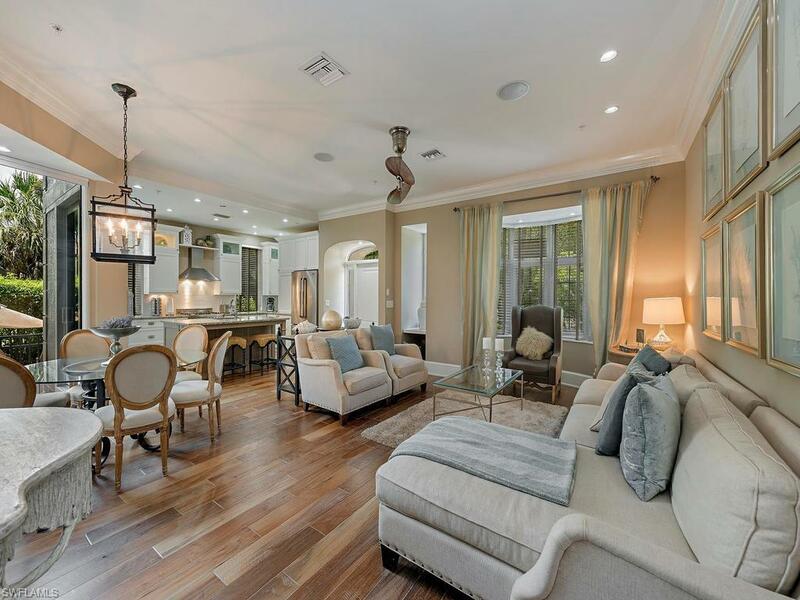 Impeccably updated and fully furnished, coastal contemporary villa in the heart of Old Naples located just footsteps from 5th Avenue South and 3rd Street South. This exceptional home has been uniquely reconfigured to offer four bedrooms and five full baths, including two spacious master suites with private balconies, providing an ideal retreat for you and your guests alike. The fully updated chefs kitchen is a gastronomic delight designed with gourmet grade stainless steel appliances including, a Jenn-Air french door refrigerator, a Bosch dishwasher and a Bertazzoni gas range. A bonus room on the second floor serves as an ideal media room or can easily convert to a studio, office or fitness space. 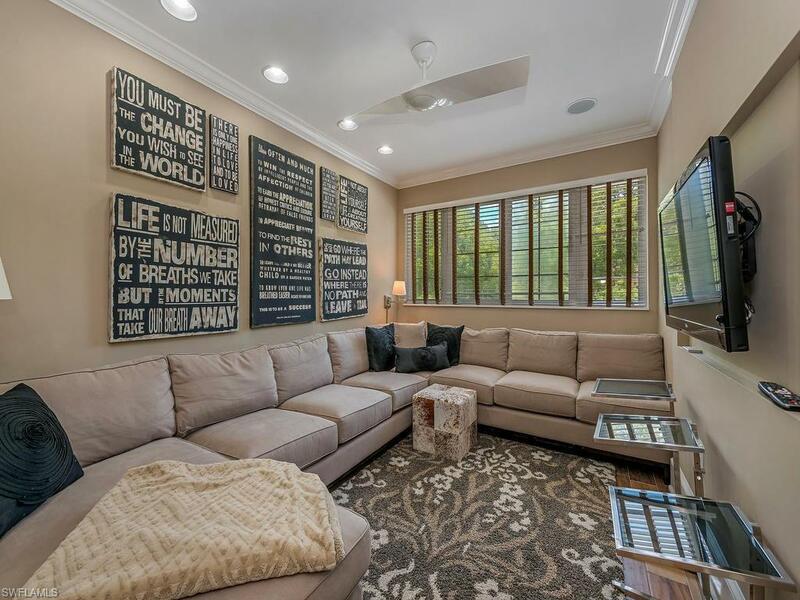 Owners will appreciate contemporary finishes throughout, five fully updated bathrooms, a private pool with paver stone patio, and a spacious 2-car garage.